By Hongkiat.com in Photoshop. Updated on December 4, 2014 . Most of the time, default Adobe Photoshop’s patterns just could not satisfied designers needs. Minutes later you will be creating your own custom pattern for buttons, interfaces, photo scan-lines, etc. Fire up a new canvas. It should be small (in terms of height x width). Image you are creating here will duplicate itself to form your pattern in the later stage. For this example, I’ll be using 8×8 pixel canvas, zoomed them up and create a small pattern like this. Let’s define it as pattern so it can be used at anytime. Select Edit ->Define Pattern. 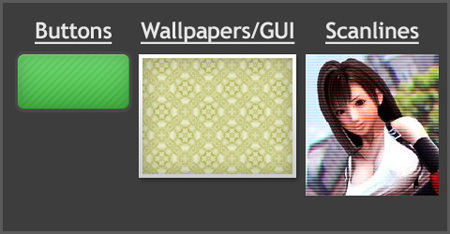 Rename it to something you can remember (especially useful when you have a lot of custom patterns in future). I’ll call it Stripe5x because it will give me a stripe effect and 5px is how thick each stripes are. Click OK and you’ve just have your custom pattern defined. Create a new canvas to try out the custom pattern. With your new canvas selected, Select Edit -> Fill. In the Fill dialog box, select Pattern from the dropdown, find the pattern you’ve just created in Custom Pattern and click OK. The canvas will now be filled with pattern you’ve just created. Tweak the colors and it should look fine. Anywhere in the pattern selection box, (Right Click), choose Delete.